A plan to establish a national historical park in the Blackstone Valley is going before Congress. U.S. Sen. Jack Reed has been pushing the plan for a Blackstone River Valley National Historical Park for years. The Rhode Island Democrat’s office said Wednesday the plan was due for votes in the House and Senate by next week as part of the National Defense Authorization Act. 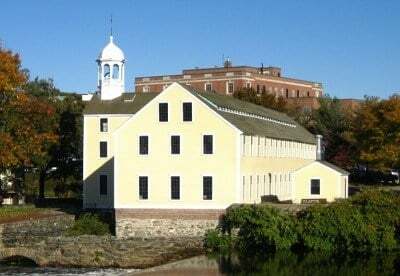 The plan would put a new national historical park along the river, which includes several old mill towns and buildings including the Old Slater Mill in Pawtucket, the first successful cotton-spinning factory in the United States. The area is already home to the John H. Chafee Blackstone River Valley National Heritage Corridor, which links 24 communities along the Blackstone River from Worcester, Massachusetts, to Providence.